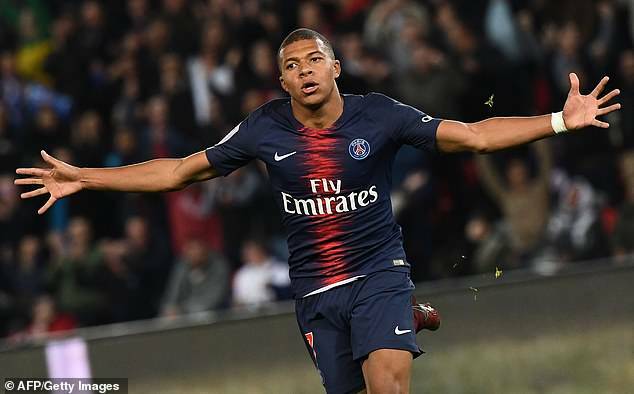 Kylian Mbappe has admitted he would love to win the Ballon d’Or one day after another sensational performance saw the teenager score four goals in just 13 minutes against Lyon. 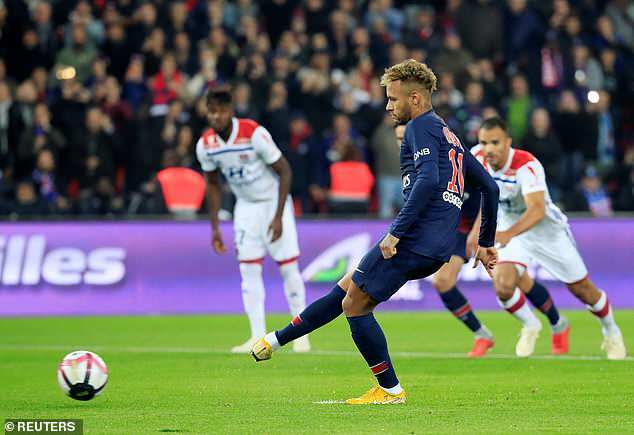 The 19-year-old striker was in unstoppable form as Paris Saint-Germain thrashed Lyon 5-0 on Sunday night to become the first team in Ligue 1 history to start the season with nine straight wins. 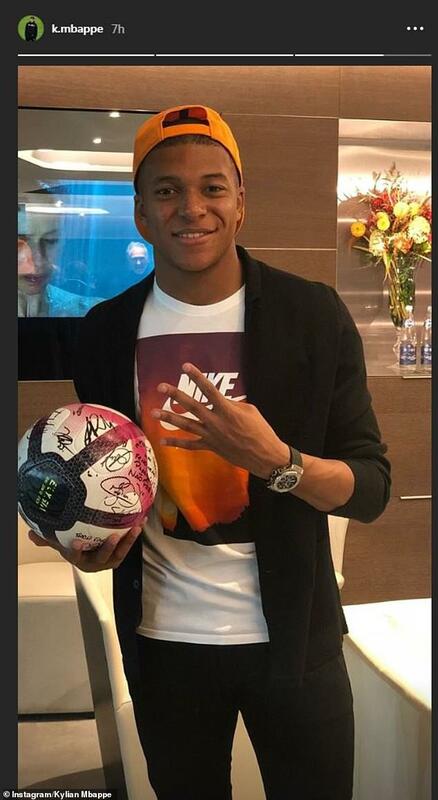 Mbappe, who won the World Cup with France in the summer, has now scored 10 goals and contributed four assists during his first seven matches this season. And on such form, it surely won’t be long until he is considered for the prestigious best player in the world accolade. 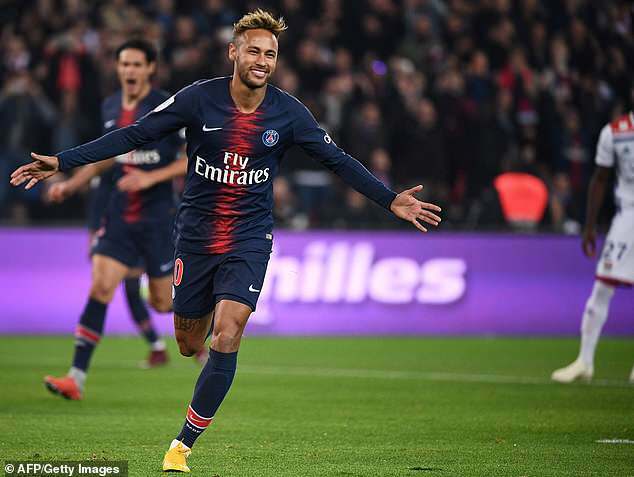 In addition to scoring four second-half goals, Mbappe also won the penalty from which Neymar opened the scoring at Parc des Princes as the reigning French champions established an eight-point lead at the top. 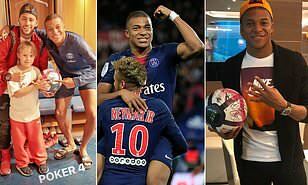 ‘He is a great player, everyone knows it,’ Mbappe said of Neymar. ‘He had a complicated period, and here he shows that he has passed over that. 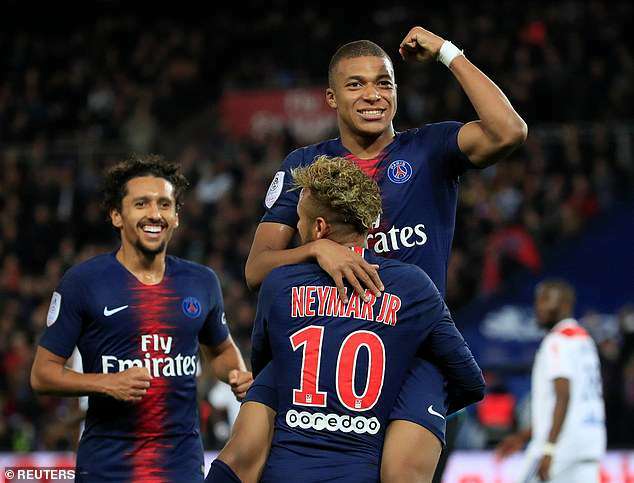 Neymar was equally complimentary in his post-match comments about Mbappe, saying: ‘Kylian is a special guy, for whom I have a lot of affection. 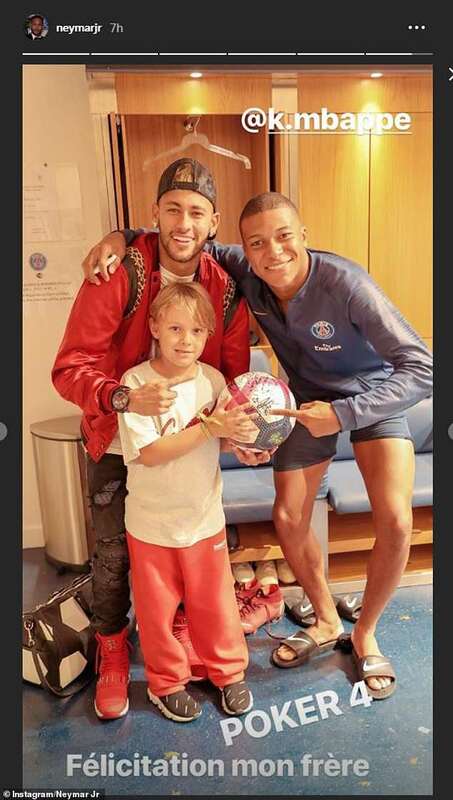 Neymar added: ‘Share the leadership with Kylian? Of course, I know my value, I know the pressure that exists, I know my responsibilities but we have many quality players who also have their responsibilities. ‘Kylian is one of them, he is a technical leader and the group respects him. As soon as he opens his mouth to say something we listen to him and understand him, no matter how old he is. ‘This is a group where everyone knows the importance of each and I want to congratulate him. He could have scored even more.